DO NOT CLICK THIS LINK! Exclusive Magic Origins Preview: Vorthos Rejoice! 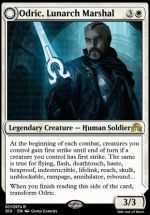 YWN previews a card that’s sure to light the spark of Vorthos players everywhere. 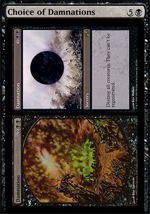 Modern Masters 2015 Preview: What’s This? 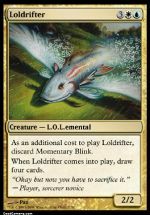 If you’ve playing Magic for any time longer than a month, you’re certainly familiar with the concept of the spoiler season. A couple of great weeks where cards from the newest set come dripping in and the excitement in the air is palpable. All I can say is that my preview card today is a good card. One might even say, a DAMN good card. One that’s had players clamoring for a reprint for a long time now. Binding your food to the plate defeats the forces of gravity once and for all. A delightful joke card for our international brethren. Bendan Blawmi is 20 years old, is single and likes to play baccarat. He has the best profession in the world. He’s a mine bearer. I went to interview him in a coffee house in Jamuraa. Who knows if this isn’t the coffee house Bendan will blow up in soon? To help break the ice, I offer him a cigarette.